Do tour guides roll out truths about Chicago, or are they taking us for a ride? 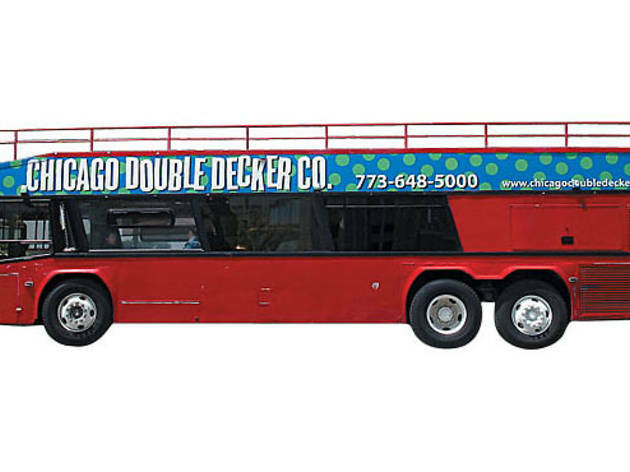 Immediately, I’m nervous for Janel, the small, pale guide running Chicago Trolley’s Hop On Hop Off tour ($29) from atop a double-decker bus. As TOC’s Around Town editor, I’ve always wondered how much information spouted by Chicago’s myriad tour guides is factually accurate. Janel’s off to a rocky start. As she points out architectural bits, history and trivia, she keeps referring to historic Chicago milestones—such as first CSO prez Theodore Thomas and Adler Planetarium’s claim to being the first planetarium in the Western world—as being merely “one of the first.” I can’t tell if that’s a blooper or a safeguard, but either way, she’s fudging the status of some of the city’s proudest achievements. We crawl south on Michigan Avenue, passing the Streetwall, the flat face of historic buildings between Randolph and 11th Streets. Our guide claims the National Trust for Historic Preservation is “mad” at the city for letting the Streetwall facades decay. In fact, Achilles murmurs to me, the trust is irked because new skyscrapers rising behind the Streetwall will disrupt the classic skyline view. But the trust is in conflict with the city, so Janel’s partly correct—just as when she later points out the Auditorium Theatre was built by Louis Sullivan (actually, it’s attributed to Sullivan and Dankmar Adler). 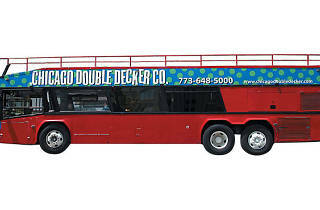 Because of all the minor inaccuracies, the tour is a bit of a bust, but since Chicago Trolley employs some of the city’s best guides (including opera singer J. Chris Baum), we decide to give another trolley a try (as the tour’s name suggests, one can hop on and off any car in the company’s fleet). We score with our new guide, Gene, who’s hilarious. I imagine a rimshot as he tells us he was fired from Wrigley Co. because he fell into a pot of gum and got “chewed out” by his boss. Gene loses points for saying that Wrigley, once a soap and baking-powder purveyor, started selling gum after offering it during a factory tour. Actually, Achilles whispers, the gum was given as a freebie to customers who bought baking powder. Gene wraps up by telling us that his tours are part history, part myth and part baloney. On that point, we can finally agree.